Please enter your hotel or hostel name in the booking form and the designated pickup spot in Reykjavik will be sent to you. Pickup time is 8:30 a.m. 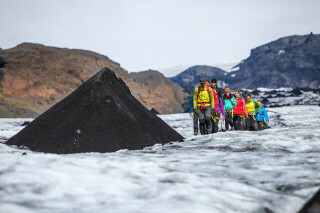 Please wear warm clothing, hiking boots, rain gear, sunscreen, and bring lunch and water. Please enter your hotel or hostel name in the booking form, and the exact address will be sent to you. 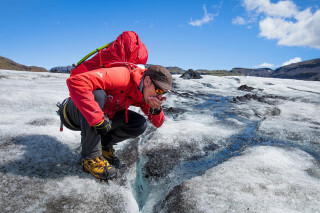 Whether frozen or melted, water in Iceland's nature certainly makes an impression. 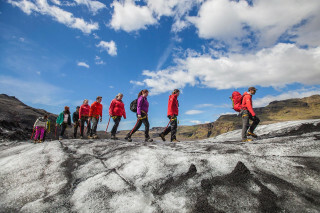 On an active walk, experience the mighty Solheimajokull glacier firsthand and wander among its cracks and crevasses. 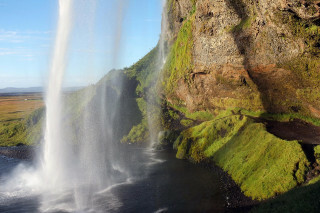 Then, follow the flow of water and admire picturesque waterfalls. 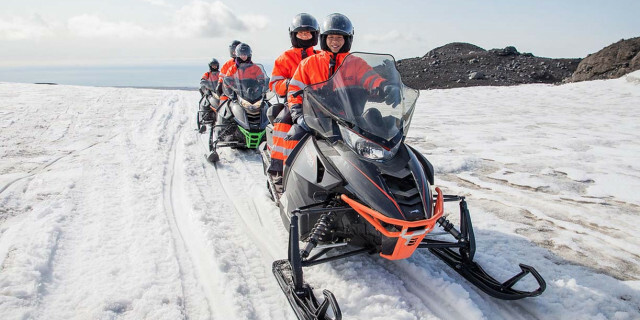 From your designated pickup spot in Reykjavik, your guide drives you two hours through the gorgeously green Icelandic landscape. 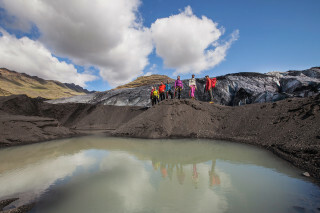 Your drive takes you right by the Eyjafjallajokull volcano, whose 2010 eruption made a major appearance in world news. 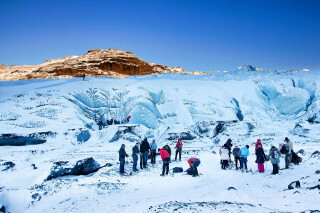 Eventually, you reach the Solheimajokull glacier, which is an outlet glacier of Myrdalsjokull, Iceland’s fourth-largest glacier. 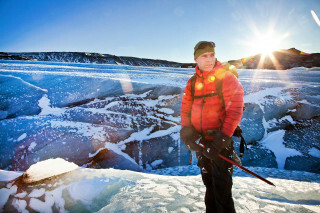 Before stepping on the ice, you get all the necessary gear, such as an ice axe, crampons for your boots, and a harness. 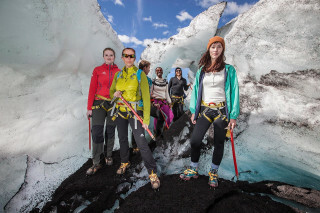 Your experienced mountain guides explain how to use the basic glacier equipment necessary for this tour. 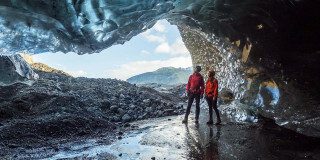 Along the way, they'll point out any and all points of interests thanks to their glacier knowledge. 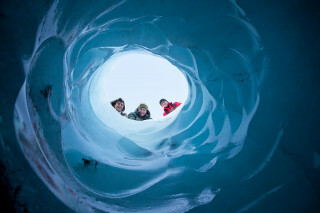 As you trek along the ice, you emerge into a world of frozen sculpture-like formations and jagged ridges. 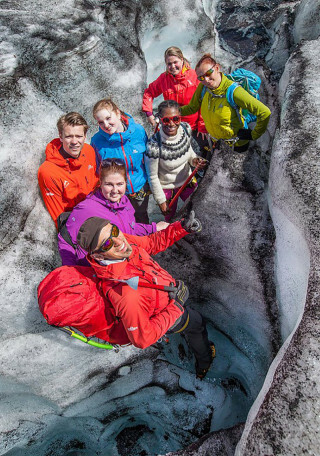 Your guide leads you through huge crevasses past sloping ice walls. 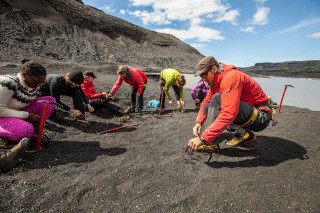 As you trek higher, take in the views of the dark rocky landscape and mountain ranges beyond. After adventuring for two hours on the ice, you leave the frosted wonderland for new aquatic attractions. 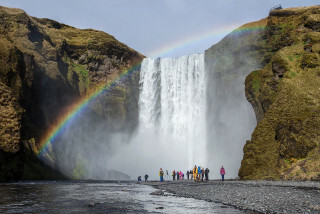 Marvel at the Skogafoss waterfall tumbling down at 60 m (200 ft). 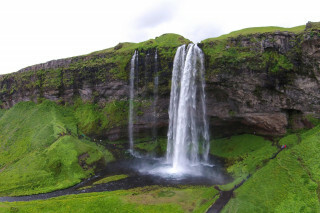 Next, make a stop at the Seljalandsfoss waterfall, where you venture behind the fall itself to hear, see, and feel nature's force. 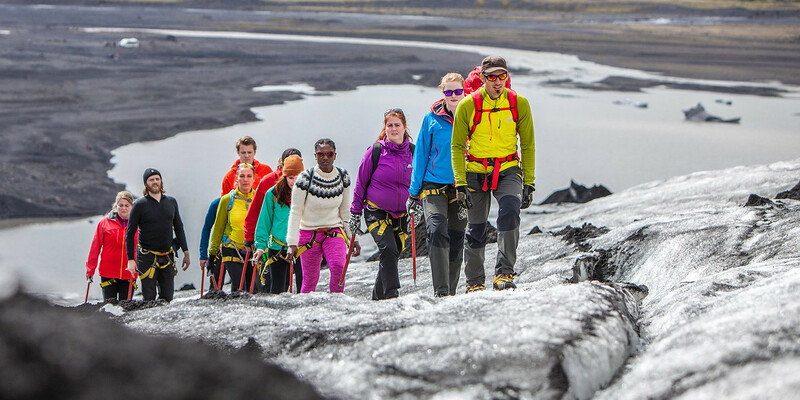 With a day of discovery behind you and a head full of views, you drive back to Reykjavik. 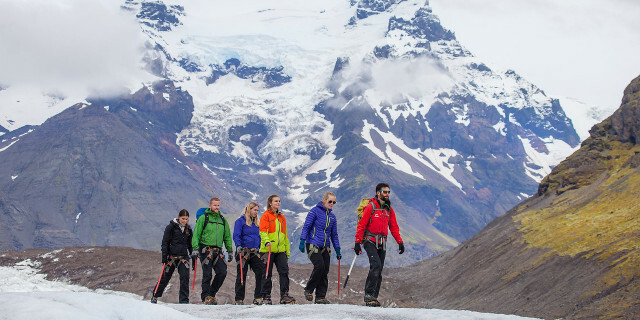 This full-day of exploring proves that whether frozen or flowing, water in Iceland is a must-see.